Since partnering with Dash, Festy has made significant strides in advancing our business and technological development. Our team ethos is one of transparency and openness and therefore we feel it is imperative that we provide the public and our community of peers with detailed updates of our progress. In the payments industry it is important to recognise that there are a variety of different ways that existing service providers enable crypto based payment processing so we can differentiate ourselves from the rest. In theory the most convenient way to spend cryptocurrencies are with prepaid debit cards as they provide a bridge between the crypto-savvy population and everyday merchant services. Existing crypto-payments companies rely on contractual agreements with major card issuers such as VISA and Mastercard in order to process payments. In 2017, 79% of payment providers had relationships with banking institutions and major card companies presenting major vulnerabilities caused by centralisation of authority. The result of this was seen clearly last month when it was announced that VISA terminated the issuance of their cards to cryptocurrency companies causing the suspension of all prepaid cards and widespread callbacks. The purchase of cryptocurrencies with credit and debit cards has now increased to over 10% causing a massive obstruction to mainstream adoption. It is widely known that the biggest challenge facing cryptocurrency payment providers is maintaining relationships with banking institutions and money transfer operators. Unfortunately, in order to reach the mass marketplace the current business model relies heavily on these relationships which is not sustainable and has already suffered major setbacks. In short, we saw an opportunity to build our own payment processor independent of any 3rd Party involvement at any stage of the processing — from POS systems to the smart card technology themselves. This bottom-up grassroots approach removes any risk of disagreement with or reliance upon centralised authorities allowing for substantially lower fees for those using and accepting cryptocurrency payments opening the gateway to large scale consumer adoption. 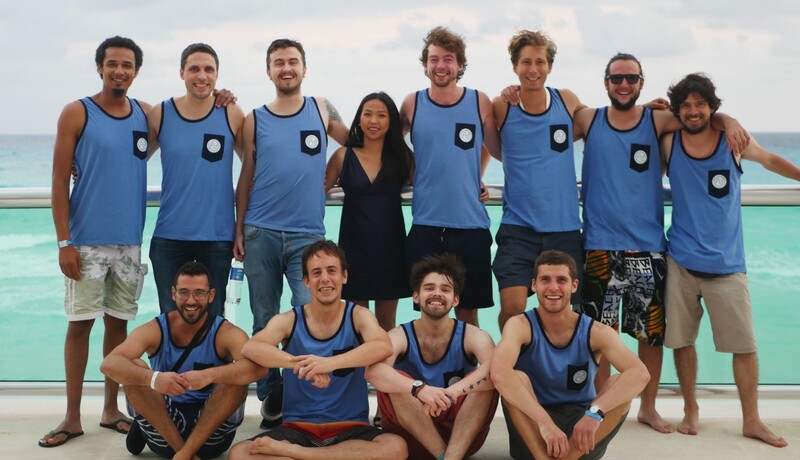 The first iteration of Festy is a wearable payments solution for festivals and events. With the summer festival season soon approaching, we will launch our Minimum Viable Product (MVP) on the 29th of March at a concert in Cork, Ireland. This product launch is for our wide network of business contacts to observe and test our payment processor and wristbands in action. We invite the community to join us on the night. You can register on Eventbrite. Festy Global is the second iteration of our technology which is being developed for the everyday retail market. Research for Global has already begun and development will begin post-festival season. From many different research exercises (usability testing @ Electric Picnic, Irish Pubs Global, soft launch and the Festy party), it is obvious that the user journey is at the core of all successful applications. We have therefore put huge focus into making the use of our system as easy as possible for the user. To use our system, a user will not even need to create a login on our web portal. This, among many other ideas, is a bid to make the shift to using crypto currencies in exclusivity as easy as possible. Accompanying the user friendly portal online to allow any user to seamlessly create an account, we have a progressive point of sale application for android and IOS made with react native. This application is following the styling guidelines of the rest of the festy online application. Making crypto payments will never be this easy to perform. The entire team at Festy are very excited to announce our recent business developments. Following the partnership with Irish Pubs Global, Festy’s business & sales team have begun pre-integration talks with some of the 7,000 pubs within the IPG network. Since the decision was made to develop two distinct payment solutions (Festy Events & Festy Global) our business branch of the company decided to focus on Festy Events clients considering this solution is nearer to completion as a short term goal thus dividing our long-term retail launch. Our strategy is simple; instead of reaching out to each individual festival, let’s go for the jugular and attempt to secure partnerships with major promotions companies in the festival and concerts markets. In terms of major players in the festival market there are few that rival the industry giant that is LiveNation. Ireland is a small nation and due to our vast network of connections in the music industry we are happy to announce that we have begun the process of securing an official partnership with LiveNation and Aiken Promotions who dominate approximately 40% of the global festival market. 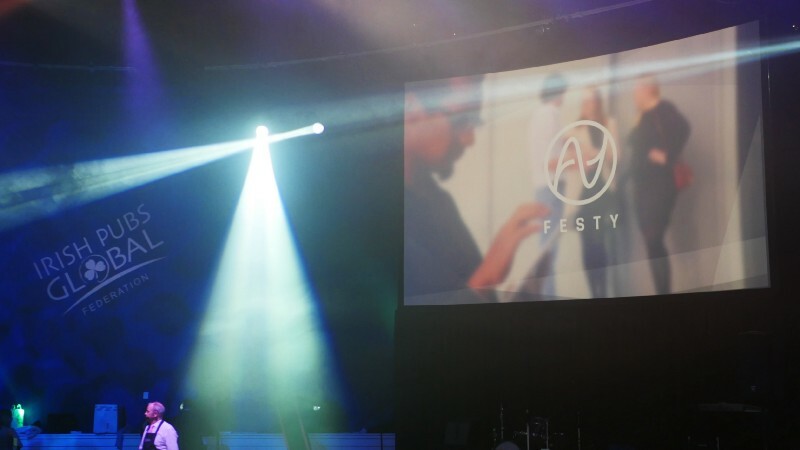 This summer Festy will be featured at some of LiveNation’s Irish festivals and concerts including Live at the Marquee in Cork that has hosted musical greats such as Bruce Springsteen, Simply Red, and ZZ Top to name but a few. In 2019, Festy aims to scale to a point where we can feature at every LiveNation event around the world but to get there we will need the support of the community. Festy will be participating in the Trade Show Exhibition at SXSW from March 11th-14th. A live demonstration of our payment processor will be at display at SXSW whom we have partnered with. This will allow SXSW attendees tomake purchases at the Festy stage. That’s right folks, crypto will finally be made accessible and usable to millions of people. Exciting times. We believe in the principle of walking the walk — not talking and repeating buzzwords to increase reputation.